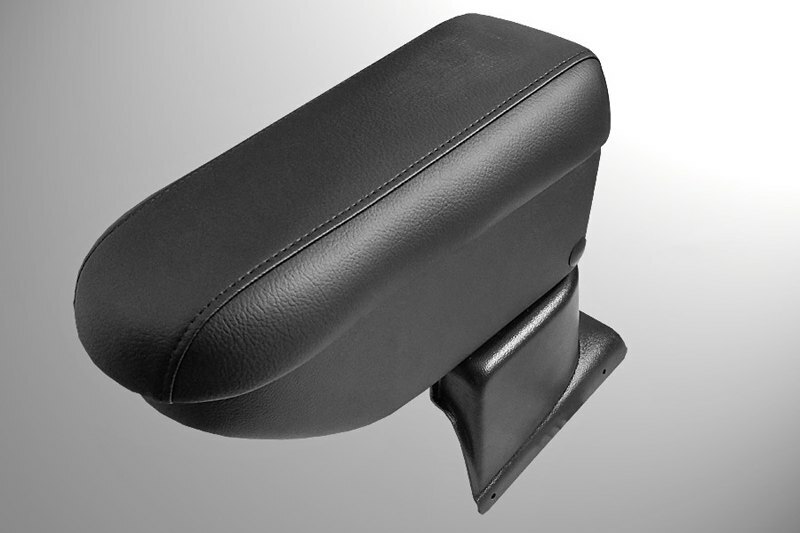 This armrest from Car Parts Expert is tailor made for your Audi A1 (8X). A center armrest increases the comfort in your car by supporting your arm while driving. Underneath the lid, which is covered with artificial leather, you will find a handy storage space. Ideal for storing your phone charger, sunglasses and the like. If you do not use the armrest, you can swing it up between the front seats. The center armrest has a plastic foot that is tailor made for your specific car model. Most armrests can be installed easily with 4 screws on the center console in about 10 minutes without having to dismount the chairs. Slider: design similar to Basic, but with forward sliding top lid. Armster S: high quality finish and modern design. Armster 2: the top model with modern design, forward sliding top lid and adjustable height. Removable, portable storage compartment. Available in silver and black. The armrest is equipped with a padded artificial leather upholstery. The lid can be slided forward (not for "Basic" models and “Armster S”). Handy storage compartment for small items. If the armrest is not used, it can be swung up between the front seats. The use of the gear lever and handbrake is not obstructed. Easy installation in about 10 minutes without disassembly of the seats (unless indicated otherwise).